Udhampur, Feb 7: Asserting that in the hinterland too, Indian Army has developed effective counter terrorism capabilities and the collective efforts which have yielded notable success, Northern Command Army Commander Lt Gen Ranbir Singh on Thursday said that the fight against terrorism has now entered an important phase. 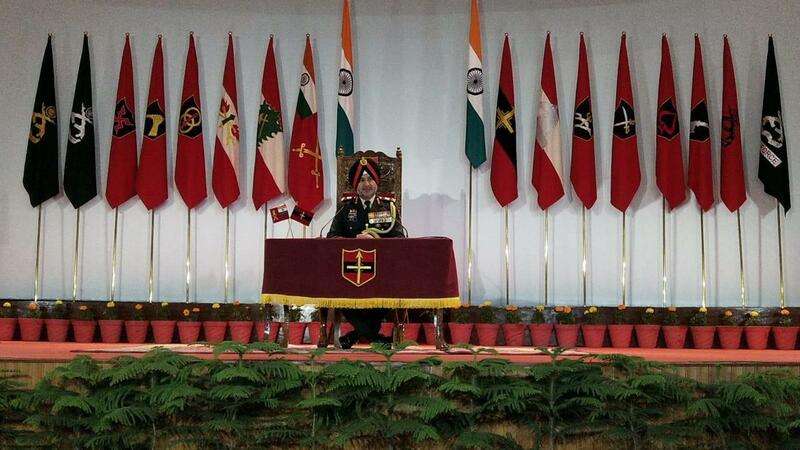 "The fight against terrorism has now entered an important phase and I can proudly say that the nation owes this transformation to all our gallant soldiers, including CAPF and J&K police, who have shed a great deal of sweat and blood to herald this challenge," said the Army Commander in his address at Northern Command's investiture ceremony here. The GOC-in-C said that the state of Jammu and Kashmir is passing through a progressive yet a very challenging phase. "While on one hand, state is steadily moving onto a path of progress, be it infrastructure or growth, yet on the other hand, the state has suffered considerable hindrance due to terrorism for the last three decades, fostered and supported from across the border," said the Army Commander. He said that since independence, the people of Jammu and Kashmir and the Indian Army have together braved a number of difficult situations and have always emerged victorious. "I wish to assure that Indian is committed to safeguarding our territorial integrity and in assisting the state administration to usher peace, security and prosperity," he maintained. The Northern Command Army Chief said that besides bringing peace and normalcy, the Indian Army is also committed to provide succor during natural calamities like floods, landslides and avalanches and similarly, the Army has contributed towards development of infra in remote areas. "Our jawans with their sheer grit and resolve continue to stand like a rock ready to defeat all nefarious designs of our neighbour, despite all the difficulties and challenges posed any infiltration besides giving a fitting reply to any ceasefire violation from across," said Lt Gen Singh. The Army Commander, however, said that he feel saddened when see young, motivated and devoted achievers being targeted by a small section for their sinister and ulterior motives, adding, "it pains us when we see the youth being misled towards a path of mindless violence." Lt Gen Singh also congratulated the awardees and their families besides all units that have been conferred with Unit Appreciation for the year 2019.